Maureen began her yoga journey at the age of 13, when first introduced to stretching as part of her school physical fitness program. The key fit the lock...the door opened..and the rest is history! Maureen graduated from Humber College as a Registered Nurse in 1975 – a life-long dream – and worked for many years at the Hospital for Sick Children, Toronto General Hospital, and the Addiction Research Foundation. Her involvement in the fitness industry began in 1985, and she is among the first Canadian instructors to help bridge the gap between yoga and fitness. She is a well-known international presenter and has spoken annually at Canada’s premier CanFit-Pro Conference since its inception. She was awarded CanFit-Pro’s prestigious Presenter of the Year Award in 2010. Maureen’s main yoga teacher is Erich Schiffman of Santa Monica, California. Angela Farmer (Greece) and T.K.V. and Kausthaub Desikachar (both of India), have been instrumental in broadening the scope of her yoga studies. Her teaching style is Vinyasa Flow Yoga – strong, precise and technical – flavoured with feeling, and punctuated with rest and reflection. The studio, which opened in 2002, has been a centre for Yoga Teacher Training. Maureen travels widely to share yoga with aspiring yoga teachers. In her spare time she enjoys cooking for her family, gardening, studying yoga, teaching at resorts in the Caribbean, and especially – just being quiet. Briar came to yoga through a desire to stay fit and gain peace of mind. After having 2 children, she enrolled in YogaKids International, a 300+ hour certification in teaching yoga to children and youth. She also studied and trained with Maureen Rae to become certified to teach Hatha Yoga to adults. Briar has participated in many advanced teacher trainings and yoga workshops, as well as meditation retreats here in Canada, the US, Mexico and France. She has trained as an actor, vocalist and musical theatre performer and brings creativity to her classes and workshops. Brair is a presenter at the Toronto Yoga Conference and regularly teaches Yoga to all age groups – from toddlers to the senior population. She continues to practice Vedic chanting, Kirtan, Mantra + Meditation, and has completed the 8-week MBSR course (Mindfulness Based Stress Reduction) as taught by Jon Kabat-Zinn. As a storyteller, she visits elementary schools around the GTA, bringing life to Eckhart Tolle’s children's story on mindfulness and self-discovery. Monica has practiced yoga for over fifteen years. Four years ago she moved to Etobicoke and found her way to Maureen Rae's Yoga Studio. After her first class with Maureen, she knew this grounded and mindful style of yoga was what she had been searching for. She took the Yoga Teacher Training with Maureen and became a Registered Yoga Teacher in 2014. Yoga and meditation were - and continue to be - principal and instrumental healing tools for Monica after a long and difficult illness. Through her teaching, she hopes to share the gifts and benefits of this amazing practice with others. Paula is our Studio Assistant and a 2011 graduate of the Registered Yoga Teacher Program. Her outgoing personality comes from years working as a career counselor and personality assessor where she has helped hundreds of youths and adults find their calling. Beyond Yoga and Pilates, Paula loves tennis, kayaking, travelling, meditation and spending time with her granddaughter, Maelle. Sue has practiced many styles of yoga for over 15 years and has been part of the wonderful community of Maureen Rae’s yoga studio for almost as long. She enrolled in Maureen’s teacher training with the primary goal of enriching her practice, but soon became passionate about sharing the joys of yoga and meditation with family, friends, colleagues, and whoever would listen. 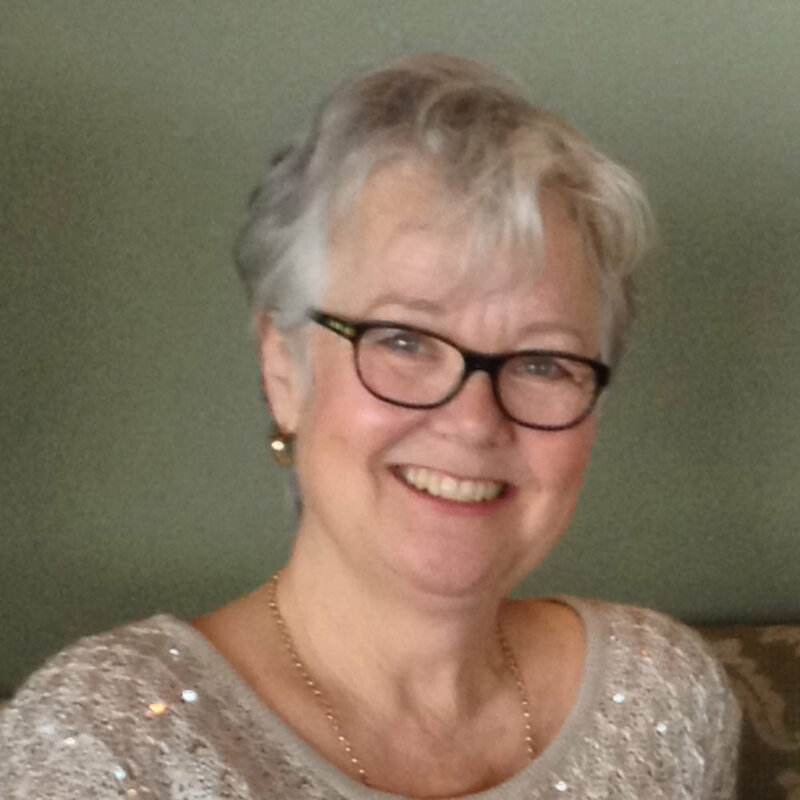 Since retiring from her career in Social Services in 2015, Sue has completed a 200 hr RYT program and chair yoga training and has also taught in a variety of settings. When not practicing and reading about all things yoga related, Sue loves to listen to music, dance if no-one is looking, take her dog for long walks, and putter around in the garden. Since she was a kid, Tracy has always had a passion for health and wellness. She started teaching group exercise in addition to her “day job” back in the Jane Fonda days. After retiring from the corporate world in 2014, Tracy added to her CAN FIT PRO group exercise certification Mo’s Yoga Teacher Training Certification in 2015 and a Body Harmonics Pilates Mat Work certification in 2016. In her free time Tracy likes to spend time in the garden, and tries to keep up with two book clubs. Christine first practiced yoga in the 70's and found her way back to the practice when she left a stressful career in finance and budgeting to raise her son in 1997. Recognizing the many positive benefits of yoga in her own life Christine believes that yoga is truly a gift worth sharing and has been teaching since 2002. Christine teaches classes here at the studio and in the local corporate office of lawyers. Over the last few years, Christine has also taken on teaching the 100 Hour Yoga Teacher Training Programs. Sonya Lester, CYT, R.H.N. (Holistic Nutritionist), Certified in Native Healing Ways, brings creativity, compassion and a love of sharing to all of the circle groups which she facilitates. Andrea has been practicing yoga for 10 years and has experienced first-hand what a transformative kind of “magic” yoga can bring to life. She has been taking classes at Maureen’s studio for 5 years and has completed Maureen’s Fast Track Basic Yoga Teacher Certificate. She aims to make her classes accessible to people new to yoga and help participants feel at ease and supported. Her classes are an invitation to bring attention, awareness and curiosity to the body and mind with the hope that the vitality and fun that results will be experienced both on and off “the yoga mat”. Laura began her yoga adventure in high school, although she didn’t know she was practicing yoga at the time! Only at her first yoga class did she realize how much the stretching exercises and relaxation techniques she was so familiar with had in common with yoga practices. Soon she began following the yoga path and has never looked back. A few years ago, while pursuing her academic carrier, she started to think about how to combine her experience and passion for teaching with her fascination with yoga. A two-year-long yoga teacher training with Maureen Rae and several workshops with internationally renowned masters (Rod Stryker, Rodnee Yee, Seane Corn, Mark Stephens, etc.) led the way. This training allowed her to become a registered yoga instructor but, most importantly, opened up a world in which yoga was not only a series of asanas or meditation practices but also a way of living. Laura has been teaching yoga for years and still looks forward to every single class. She loves getting to know her students and being there to help each one of them. Rachel has always been involved with movement whether it be yoga or dance. She went to school at Etobicoke School of the Arts studying dance but ultimately found yoga in university and has never looked back. Coming to Maureen Rae's Yoga Studio, Rachel has strengthened her knowledge and movement vocabulary. Rachel completed Maureen's Fast Track Basic Yoga Teacher Training and Yoga Teacher Mentorship Program. She continues to study under the wisdom of Maureen's teachings and is thrilled when she can give back to the students what was so freely given to her: the passion for yoga and the need to move. Rachel has always been fascinated with movement in the body and its benefits overall in life. She looks forward to continuing on the healing and spiritual journey she has paved in yoga and learning more about herself and her students through her teaching. Laura Grace has been practicing yoga for close to 20 years. In 2007, she successfully completed her 200 hour Yoga Training at Maureen Rae’s Yoga Studio. In 2015, she also completed an 80 hour Therapeutic Yoga Course. Laura Grace works in the Wellness field and teaches a variety of classes including Therapeutic Yoga, Restorative Yoga, and Meditation. She teaches both Chair Yoga and Mat Yoga in a Gentle format. Yoga and Meditation are a key tool for Laura Grace as she helps herself and others to heal on a physical, mental and spiritual level. She enjoys sharing her passion of Yoga and Meditation with others. Rita Orsatti is a CanFitPro and ACE certified Fitness Instructor Specialist, having led groups of all sizes through a variety of fitness classes in the public, private and corporate wellness world for over 20 years. In 2010, Rita discovered the amazing world of Pilates, completing her training as a Certified Pilates Mat Instructor through Body Harmonics. She quickly realized the powerful positive impact small moves can have on the body as a result of Pilates training and wanted to know more. Additional specialized training at Body Harmonics led to the completion of her certification as a Post Rehab Specialist in Pilates, which Rita now integrates into large group, small group and one-on-one training sessions.